While surfing on the internet, I came across an image of a colorful bird playing an accordion with a smile on his great big beak. The picture made me smile. Who was he? Did he have a story? I found out he’s a character from a videogame, The Legend of Zelda: Breath of the Wild, which was released last year. 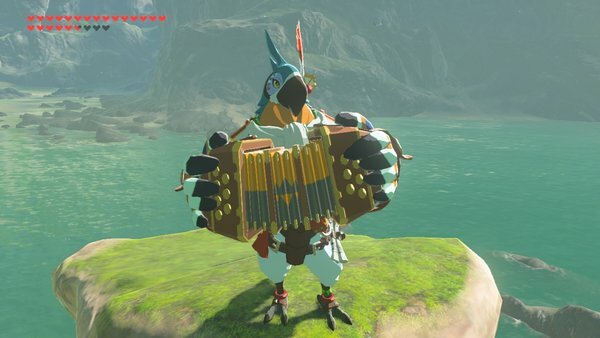 His name is Kass, from a village called Rito. 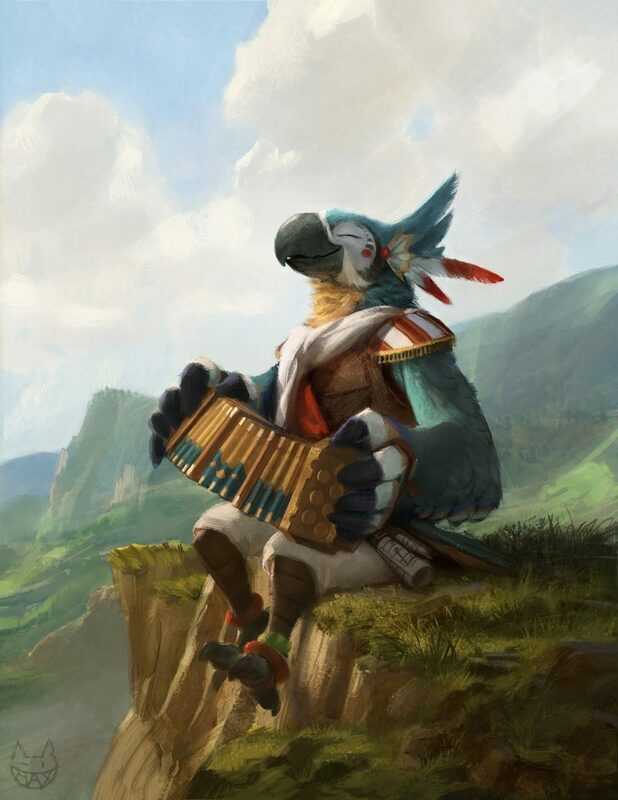 Kass is a minstrel/bard, who pops up in the game to provide clues for our hero, Link, to complete his quest. Posted on March 17, 2017 by Dystifyzer. Posted July 2, 2017 by Vetrom. Posted January 3, 2018 by Vapidbobcat. In real life, the music is composed by Manaka Kataoka & Yasuaki Iwata. Magnificent. Next Entry: Now Available: The Animated Voice, Volume One!